Browse the complete list of public middle schools in your neighborhood. Get school districts, information & facts about your local middle school / junior high school. The most up-to-date information on public schools available online! Middle School is the first phase of secondary education and bridges the gap between primary education, elementary school, and high school. 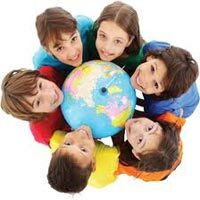 Middle schools focus on the personal and emotional challenges for children around the age of 11 to 14 years, usually grades, 6, 7, and 8, with physical and hormonal changes that accompany adolescence, exacerbated by newfound self-consciousness, social pressures, and the desire for conformity and identity.